Karoshi, death by overwork, is a unique form of death in Japan. Many people passed away, with 283 people’s death considered to be karoshi in 2015. 93 workers out of them committed suicide. Perhaps, the figure is underestimated due to a strict recognition by the government, so the actual number may be more. Last month, a female worker in Dentsu, a Japanese advertising giant, killed herself over a diabolical treatment in the workplace, such as colossal amount of work and abused authority by her bosses. Her extra worktime was reported over 100 hours a month. The prime minister Shinzo Abe attempts to reconstruct the life-work balance with the hope that karoshi like her case will never happen again, but uprooting overtime work will be full of trials and tribulation. Why do not people control labor time? One reason is an assumption that working long hours deserves of praise. Japanese companies and employees believe that long time commitment to their work is a sign of hard work or loyalty. In fact, the longer people work, the more likely they are to get promoted in Japan. 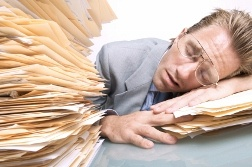 Therefore, employees expect that their managers would favorably take doing overtime into consideration. In contrast, other countries like U.S. or European countries regard working long hours as low productivity, signaling negatively. This difference in thinking makes labor situation worse in Japan. Additionally, Japanese are apt to feel sorry for leaving their office early because it looks as if they saddle their work on others, which may be a contributing factor of this phenomenon. Japan’s lifetime employment system also makes it difficult to reduce labor time. Companies do not feel free to dismiss their workers even in tough times. Or when the amount of jobs increases, they have to force them to work overtime, instead of recruiting new employees. This is the case with employees’ side. Under the lifetime employment system, they have difficulty transferring to another job because there is no guarantee that another one is paid similarly after a dropout. Even if they feel uncomfortable to work long hours, it will be formidable to make decision to leave. The key in controling time of work will be how to make labor market more flexible. The Japanese working style above does little for the economy and workers. Low productivity originated from overtime work does not contribute to the economic development, rather to exacerbating people’s life. Instead of working overtime, let us think how to enhance labor productivity within a limited time. This is what Mr. Abe is thinking about. Of course, it is not easy task, because situations of overtime work varied from work to work. Track drivers, for example, have no choice but to work long hours for living. The government should make guidelines for restricting overtime work that differs according to types of jobs, as soon as possible because “Life is a far more important than any other job” as Mrs. Takahashi, mother of the women in Dentsu who committed suicide, said after her daughter’s death. We will never make the same mistake again.